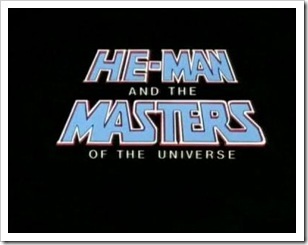 He-Man and the Masters of the Universe Streaming Free Online! 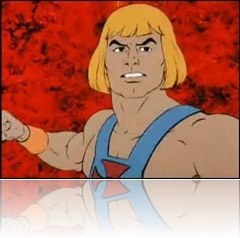 He-Man the classic animated TV show from the 80’s now has the first season streaming free online on Hulu. The show is about Prince Adam who is given the Sword of Grayskull and can transform into He-Man defender of Eternia from Skeletor who wishes to rule all of the land. Along his adventures Prince-Adam is accompanied with his pet a cowardly tiger named Cringer who also transforms into an armored tiger named Battle Cat. Eternia is also defended by Prince Adam’s mentor Duncan aka Man-At_Arms, his friend Teela, and the wizard Orco. Skeletor also has his entertaining band of misfit baddies which he uses not only in his attempts to rule all of Eternia but also to help him get at the secret powers hidden deep within Castle Grayskull. The shows are great fun with a fable type quality to them containing wonderful messages for life like being brave and how lying can be harmful. The show ran for two seasons before going off the air. The show had some great writing talent like J. Michael Straczynski, Paul Dini, and and David Wise giving He-Man a great storyline to it. Watch all of first season on Hulu here. Newer PostCrocodile Sighting… Maybe Lake Placid was right?